From a Wild Frontier to the Promised Land? 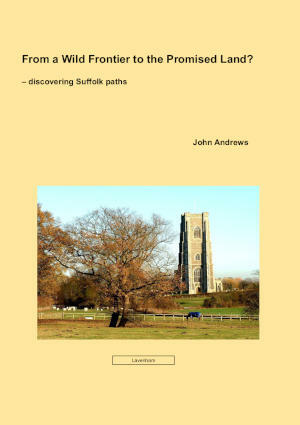 I am pleased that John Andrews has agreed to post here his review of a lifetime spent battling to save and maintain public rights of way in Suffolk. John lived in Suffolk for forty-odd years, and as a doughty member of the Ramblers' Association, did much to revive the network in Suffolk, and pursued applications to add paths to the definitive map long before such applications fully entered onto the radar screens of the user organisations (driven by the Countryside and Rights of Way Act reforms). John is also the claimant, admirably supported by the Ramblers, in both the original and follow-up actions against the Secretary of State, which eventually showed (as was obvious then and now) that inclosure awards made under the Inclosure (Consolidation) Act 1801 could appoint new public rights of way less than 30 feet wide — for more about that, see my blogs 1, 2, 3 and 4! Do read John's review: it is hard to imagine now just how pioneering it was in the 1970s and 1980s, campaigning for rights of way in a rural, arable county such as Suffolk. A limitation on TCPA orders?